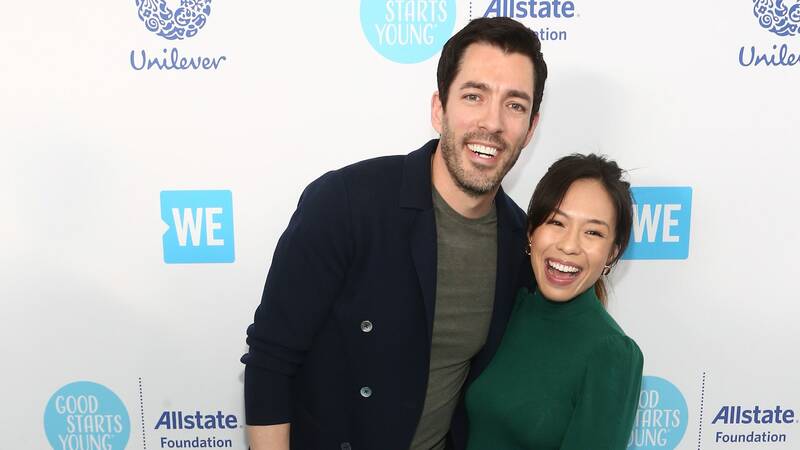 It’s official: Drew Scott and Linda Phan are now husband and wife. The HGTV star said I do to his lovely bride during their glorious Italian destination wedding on Saturday. The time leading up to this wedding has been an exciting one, with Scott and Phan making all the necessary though unconventional steps to prep, like taking dancing lessons and filming a TV show about building their first home as a couple before hopping on a flight to Italy. People magazine provided an exclusive look at the Scott-Phan wedding over the weekend, including the couple’s first comments about how they were feeling post-wedding ceremony. The couple’s wedding included 300 guests, friends and family who reportedly flew in from all over the world, including the United States, Canada, Scotland and Latin America. Ahead of Saturday’s wedding festivities, both sets of bridal parties participated in various bachelor and bachelorette excursions and activities to get into the festive mood, including “a bicycle tour and cooking classes,” per People. The way People describes this wedding, it sounds like a total dream come true (as if it weren’t already spectacular to get married in Italy). Phan’s dresses for both the ceremony and the reception were designed by Claire Pettibone and featured colorful floral detailing on the shoulders and sleeves. Scott opted for a kilt and jacket for the wedding ceremony but slipped into a custom tuxedo for the reception. The pair’s wedding cake will appear on the June 25 episode of Cake Hunters on Food Network, so keep an eye out for that. Additionally, Scott and Phan gifted their guests with some seriously cool swag: “two travel bags designed by Lug, plus custom pizza cutters and plates,” according to People. For Scott and Phan, their wedding wasn’t just about celebrating one special day; it was about making this milestone moment last as long as possible. “There was never a thought of doing anything else for both of us. A whole week to hang out on a beach, enjoy each others’ company: that sounded like the perfect wedding to us,” Scott told People. Scott and Phan are choosing to keep their honeymoon location a secret, but you know what? They’ve totally earned it considering how much they let their fans in on their wedding-planning process. This wedding sounds like something out of a fairy tale, and from the comments from the newlyweds about this special day, we’re pretty sure it actually was a fairy tale for them too.